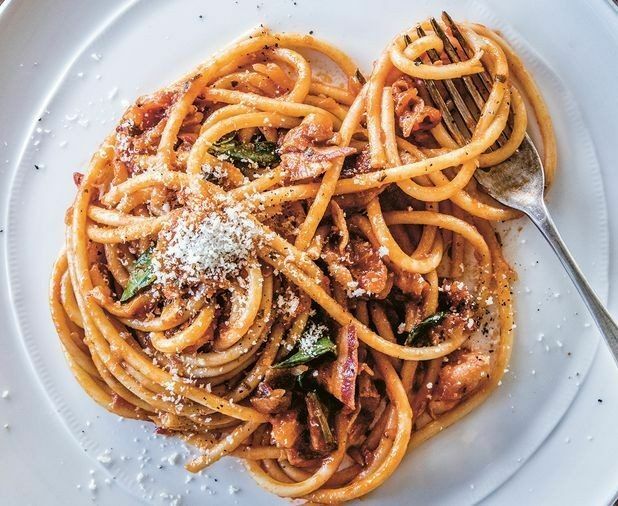 Nothing says winter is upon us than comfort food, especially a hearty bowl of Bucatini all’amatriciana from Guy Grossi. 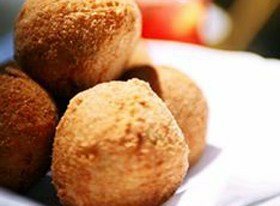 “Bucatini, like thick spaghetti with a hole in the centre, has a firm chewiness while allowing you to slurp it up in large mouthfuls. 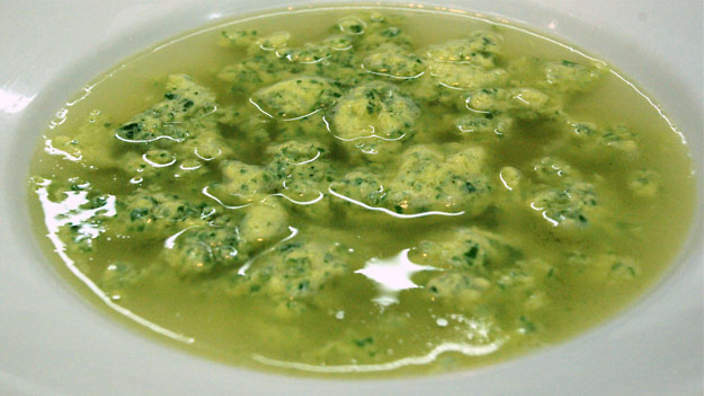 Its classic counterpart is this sauce from Amatrice in central Italy” – Guy Grossi. So quick and easy to prepare, this yummy winter recipe is an all time family favourite. Super simple and done in 4 easy steps this dish is a weekday savior ! For the Amatriciana sauce, put the tomatoes in a container and blend with a stick blender until smooth. Set aside. Heat the olive oil in a large heavy-based saucepan over medium-low heat, add the garlic and onion and cook for 8-10 minutes until the onion is translucent. Add the chilli, bay leaves and guanciale or pancetta and cook until the fat on the meat becomes translucent. Mix in the tomato paste and cook for 1 minute, then deglaze the pan with the white wine and bring to the boil. Add the puréed tomato and bring back to the boil. Reduce the heat to low and simmer for 10-15 minutes or until the sauce is rich and flavoursome. Season to taste. Bring a large saucepan of salted water to the boil, then add the bucatini. Move the pasta around gently so it doesn’t stick and cook for about 7 minutes or until al dente. Drain the pasta and add to the sauce, tossing until well combined. Serve scattered with freshly grated pecorino. Can’t you almost smell the warm sweet aroma of jam tart wafting in from your kitchen? Just looking at this tempting photo has got us salivating. 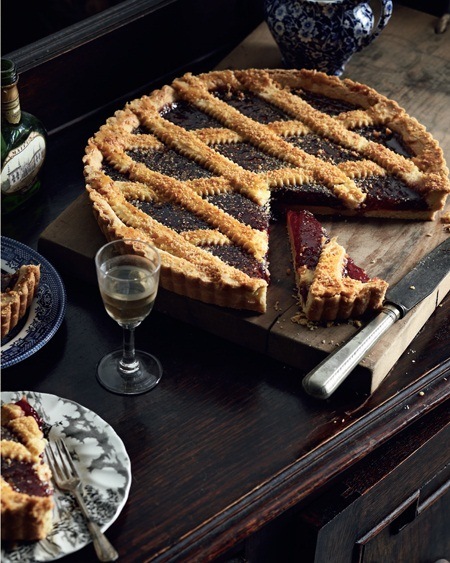 Guy Grossi’s famous Mum’s Jam Tart is a must try. The ingredients are already in your pantry, all you need is a working oven and a sweeth tooth! Preheat the oven to 180°C. Lightly grease a 20 cm tart tin with butter. Place the butter and sugar in the bowl of an electric mixer and beat until pale and creamy. With the motor running, add the eggs one at a time, beating until well incorporated. Fold in the flour, baking powder and lemon zest until a smooth dough forms. Form into a ball, then wrap in plastic film and refrigerate for 2 hours. Place the dough on a lightly floured workbench (or between two sheets of baking paper) and roll out until 4 mm thick. Line the tart tin with the dough. Trim the edges, then combine the off-cuts and roll them out again until 4 mm thick. Using a crinkle cutter, cut the dough into eight 20 cm long × 1 cm wide strips and lay on a baking tray. Refrigerate the lined tin and the pastry strips for at least 30 minutes before cooking. Spoon the jam into the tart tin, then sprinkle with the coconut and arrange the pastry strips on top, trimming to remove excess if necessary. Bake for 40–45 minutes or until the pastry is golden. Leave to cool completely before removing from the tin and serving. double recipe Pie Crust and egg wash – make according to recipe directions and chill. Place the cream, milk,sugar and vanilla in a mixing bowl and whisk until, the sugar dissolves, about 2 minutes. Freeze according to manufacturer instructions. When done churning, place in an airtight container and freeze solid. Place the rhubarb, 2 T. honey, and 2 T. water in a small sauce pan and bring to a boil. Reduce heat to medium and let simmer for about 4-5 minutes, or until the rhubarb is tender but not mushy. In another sauce pan, toss together the strawberries, 4 T. sugar and 3 T. cornstarch. Stir in the 4 T. water to moisten. Slowly bring to a simmer, stirring with a rubber spatula. Once it reaches a boil and the juices thicken up a bit, remove from heat and stir in the rhubarb mixture. 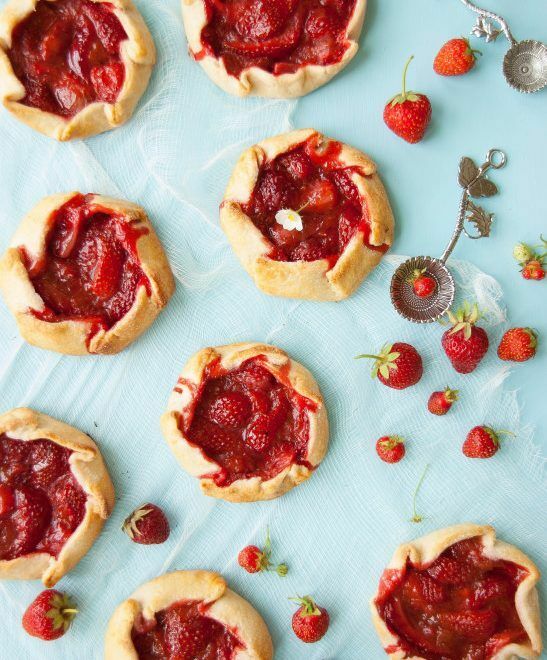 Take care to not over-cook the strawberries so that they won’t be overly mushy once baked. Roll out the pie dough quite thinly. cut 12 6″ circles out of the dough and place 6 on each baking sheet. You may have to get creative to find something 6 inches round to use as a cutter – I used a very, very large drinking glass. In a small bowl, mix together the 2 T. flour and 2 T. sugar. Place 1 t. of the mixture in the center of each pie circle and smooth out around the dough. Divide the pie filling equally between the each of the pie circles, keeping the filling in the center. Fold the edges of each pie circle up and over the filling, all the way around(see pictures). Brush the crusts with egg wash.
Sprinkle 1 t. of sugar on top of the filling of each galette. Bake at 400 degrees for 20-25 minutes, or until crusts are lightly golden brown on top. A mixture of flour and sugar sprinkled on the bottom of the pie crust under the filling will stop your pie filling from being soggy or too liquid-y by soaking up the excess liquid and turning into a thick, glossy sauce! 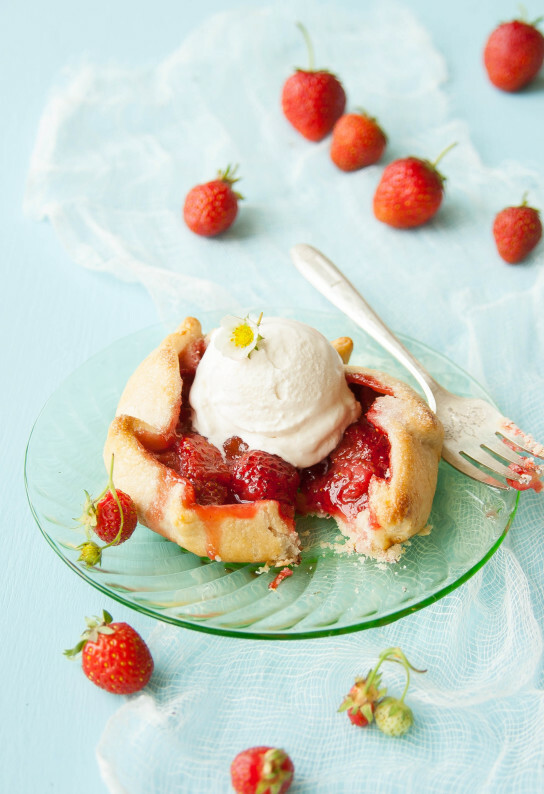 This technique is great for pie fillings that contain a lot of fresh, uncooked fruit. Topping your filling with a spoonful of sugar before baking will give you a glossy finish. The comte cheese custard, which serves as a sauce in this jerusalem artichoke arrangement, is one of my favourite recipes of all time. 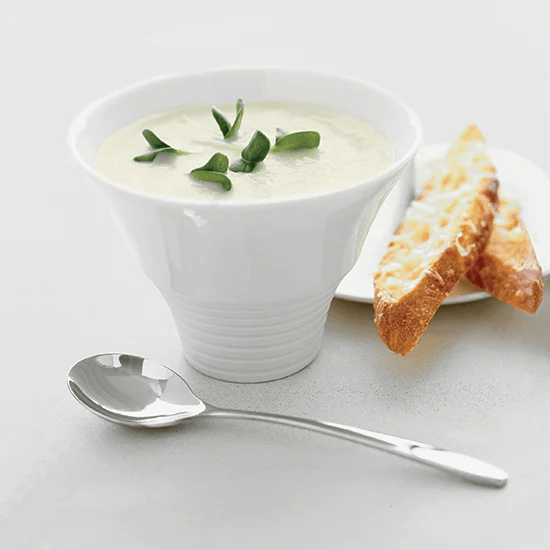 The custard is also great served with blanched asparagus or sauteed cauliflower florets. 1. Bring the cream to a simmer in a stainless steel saucepan. Meanwhile whisk the egg yolks and nutmeg in a bowl. When the cream has come to the boil pour the hot cream over the yolks, whisking all the while. 2. Return the cream and egg mixture to the saucepan. Cook the mixture over a low heat, stirring with a spatula. In a few minutes the cream with start to thicken. When it is the consistency of a thick custard remove from the heat and add the cheese. Continue to stir the custard as the cheese melts and leave to cool, stirring from time to time. 3. 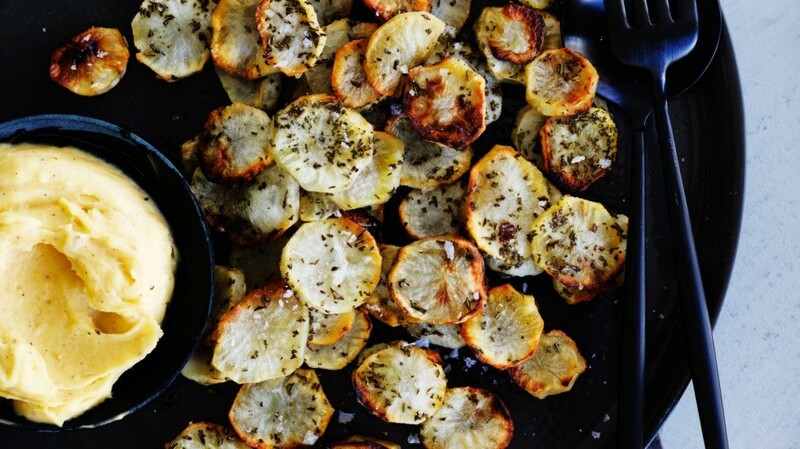 When cool, season with salt, pepper and white balsamic vinegar. Strain the sauce and store in the fridge to set. When cool it should be the consistency of whipped cream. Serving suggestion: Spoon the comte custard alongside the roasted jerusalem artichokes (recipe here), or serve in a small bowl for people to help themselves. For blood orange sauce, place blood orange in a saucepan, cover with cold water, then simmer over medium heat until orange is tender (1-2 hours), adding more water to keep orange submerged if necessary. Drain, and when cool enough to handle, peel (discard skin) and place orange flesh in blender. Add verjuice, process to a fine purée, then, with motor running, add olive oil in a thin steady stream until incorporated and sauce is smooth. Sauce will keep refrigerated for 2 days. For piquillo jelly, combine agar-agar and 500ml water in a saucepan, bring to the boil, simmer over low heat until thick (8-10 minutes). Process piquillo in a blender until smooth, pass through a coarse sieve into a bowl (discard seeds). Add agar-agar mixture, whisking continuously, pour into an oiled 17cm x 28cm x 1cm tray. Refrigerate until set (1-2 hours). Heat olive oil in a small frying pan over high heat. Add capers, fry until crisp (1-2 minutes), strain through a sieve and set aside. 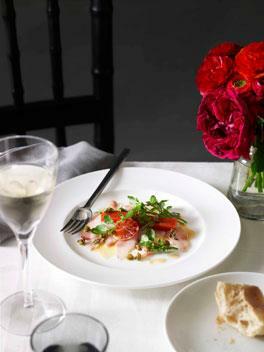 Slice kingfish thickly across the grain, arrange on plates, brush with olive oil, season to taste. Turn out piquillo jelly, slice into eight 12cm x 2cm batons (you’ll have some remaining), place down the middle of kingfish. Scatter over capers, blood orange slices and watercress, drizzle with blood orange sauce (you’ll have some remaining) and serve. Note If blood oranges are unavailable, substitute oranges. Piquillo peppers are Spanish sweet peppers that have been roasted over open fire, peeled and preserved, available in jars and cans from David Jones food halls and select delicatessens. Hate to waste leftovers? 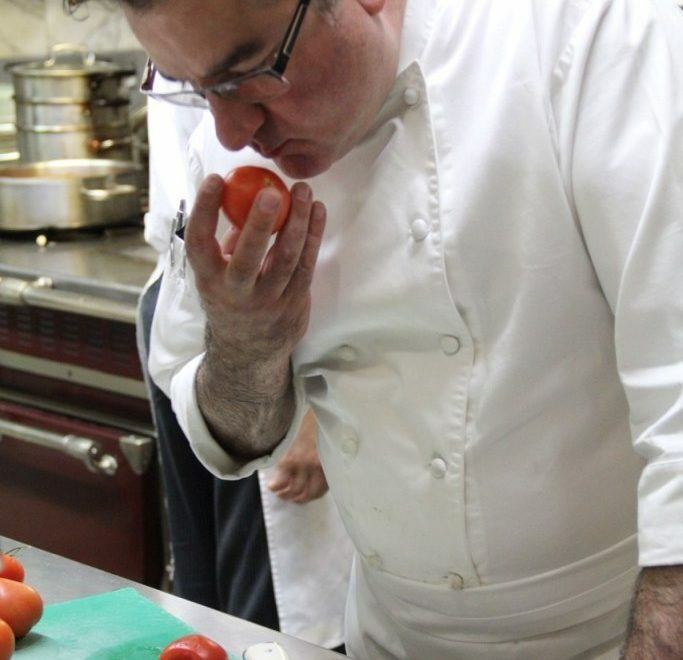 Here is a recipe and some tips by Guy Grossi to make the best use of leftovers. Days are getting colder and colder! This egg soup recipe by Guy Grossi will help lift your spirit when you’re under the weather or to simply keep warm. Bring the chicken stock to the boil in a saucepan. Whisk the eggs, cheese and parsley in a bowl and season to taste with salt, pepper and nutmeg. Add to the stock – the egg will cook almost instantly. Leave to set for a moment, then lightly stir with a fork so the egg separates into strands (if you do this too soon, the strands will be small and will make the soup look grainy). Gently stir in the butter and serve immediately. 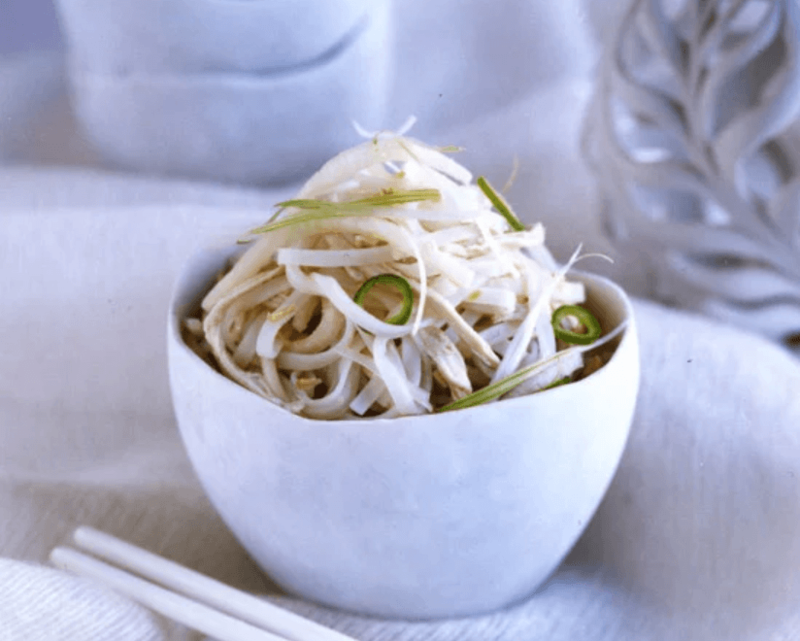 A quick rice noodle and chicken salad for the days when you are in a rush. Ian Schnoebelen takes cauliflower soup to another level by adding sunchokes (also called Jerusalem artichokes)—small, knobby tubers that taste sweet and crisp when raw, nutty and creamy when roasted.